Nailstyle: Ski Teal We Drop! Even though this colour has been around for some time, it's my first time wearing it. What a lovely formula. 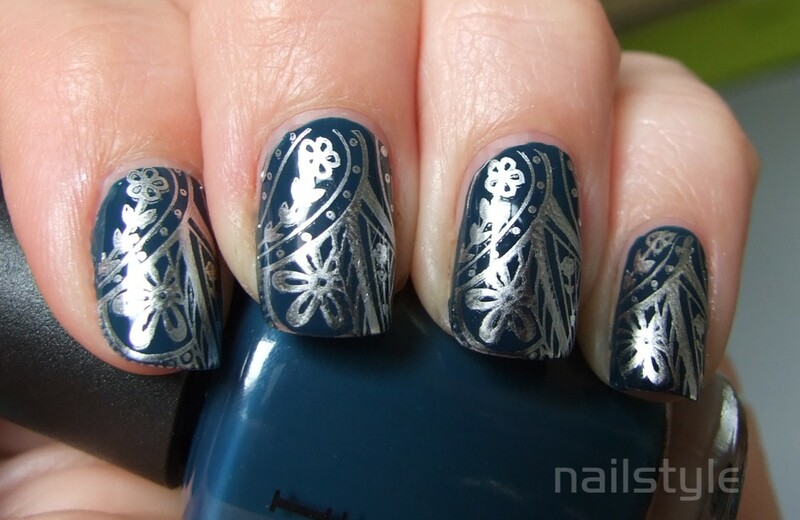 It applied so easily and perfectly and was completely opaque in two coats. It also dried very quickly - so checked all my boxes! This isn't normally a colour I would wear but I have a top in a similar colour so thought I may as well give it a go. It's really grown on me. I liked it a LOT more before I stamped it unfortunately. Now I just need to get a great topcoat that won't smudge my stamping. I've been using Seche Vite and while this is the most amazing product I'm really looking for something that is a little less toxic - I'd love to know if there's a safer alternative. Here's the pics . . .
Righto - so I like this a whole lot better with a matte finish . . .
That color reminds me of Teal from Rescue Beauty Lounge-I love this color and the stamp is awesome! I need to try this! WOW... i love the way this looks!!! 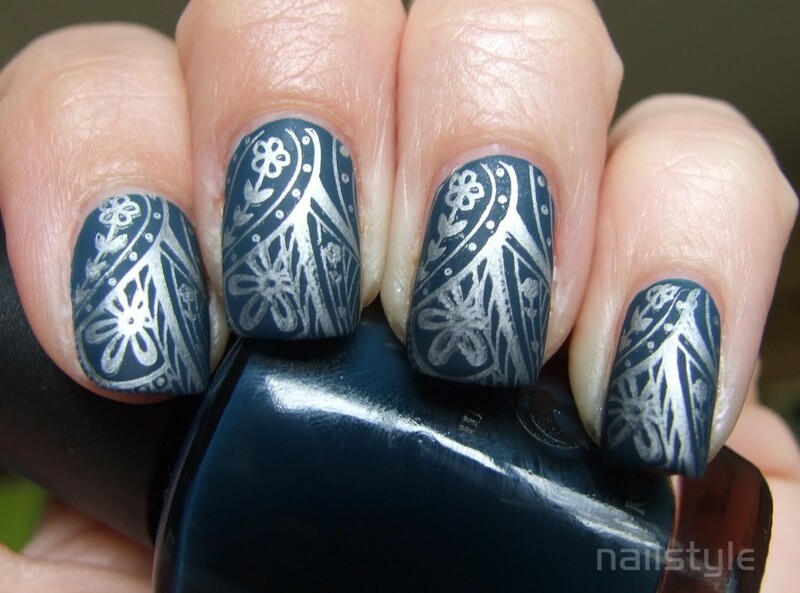 I have this polish and WOW, that stamping looks amazing!!!!!! !